It’s been a busy summer at Korean theaters for both Hollywood and domestic films, filled with hits and misses from both. However, the first weekend of August looked to be a sure thing for one if the year’s biggest films, with the release of the hotly anticipated Snowpiercer from director BONG Joon-ho. 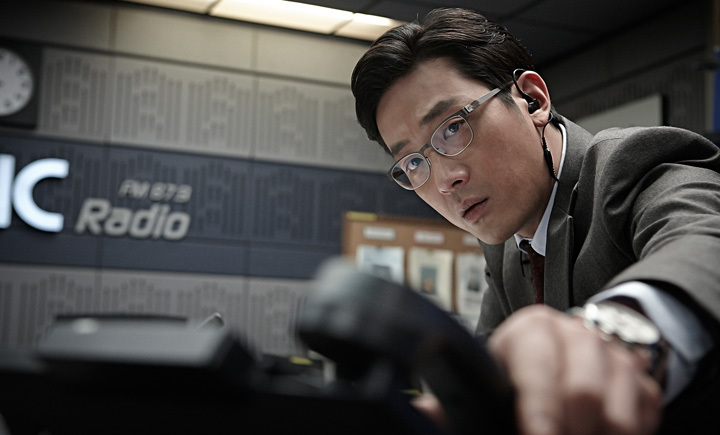 Yet, despite that behemoth’s presence, another Korean thriller dared step into the ring. The Terror, LIVE, with a far more modest budget of KRW 3.5 billion, versus KRW 43 billion for Snowpiercer, riding in on strong reviews, became one of the sensations of the summer, scoring over one million admissions during its opening weekend against the biggest possible competition. Yoon Young-hwa used to be the biggest name on primetime TV news but has since fallen a few rungs and he’s now hosting a morning radio show. One day, in the midst of a boring program on taxes, he receives a call from a man claiming to be in possession of a bomb, which he’ll blow up if not taken seriously. Young-hwa quickly dismisses him and mere moments later, as promised, an explosion is heard just outside the window coming from Mapo Bridge. Young-hwa’s first reaction is to take advantage of the situation as an opportunity for himself to get back on live TV. He calls his old producer, gets his new one fired and quickly has his humble radio studio transformed into a makeshift newsroom. Then he brings the mysterious caller back on air. 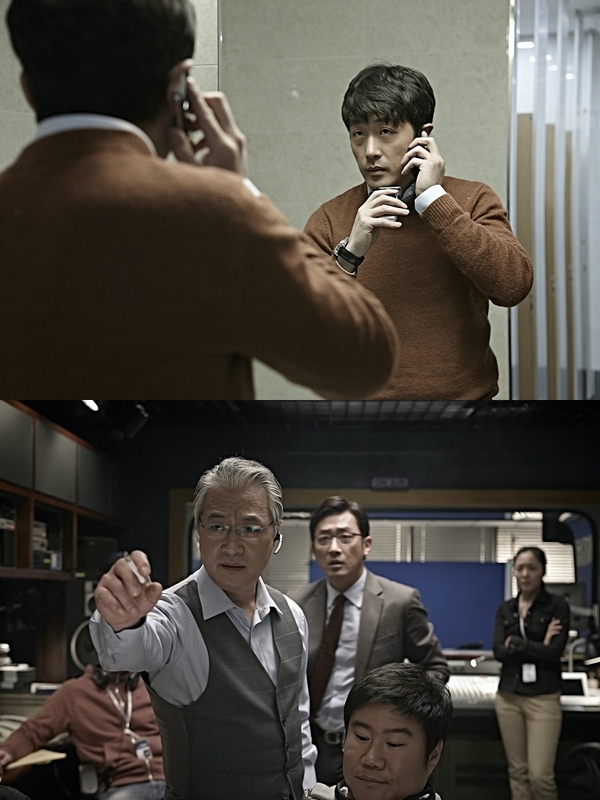 The man, who following a second explosion has now trapped hostages on the bridge, is demanding an apology from the president for a past grievance, but can Young-hwa deliver on the request while also keeping his ratings-hungry producer happy? Set almost entirely in one room, The Terror, LIVE is a high concept and surprising cocktail of action, thriller and drama. The threat of attack and the safety of the hostages always keep the tension high while the inclusion of social elements that decry the strict and hierarchical work system has been embraced by the Korean public as the film is enjoying a strong run in theaters. Following his varied and grisly turns in The Chaser (2008) and The Yellow Sea (2010), HA Jung-woo essentially pulls off a one man show, assisted by a few strong supporting turns such as LEE Geung-young’s excellent small role as the producer, and ably holds attention, with his carefully measured progression and permutations, throughout the film’s svelte 98 minute running time. The Terror, LIVE, the commercial debut of Written (2007) director KIM Byung-woo, demonstrates the resourcefulness of Korean cinema as a taut action-thriller built from a carefully conceived screenplay.